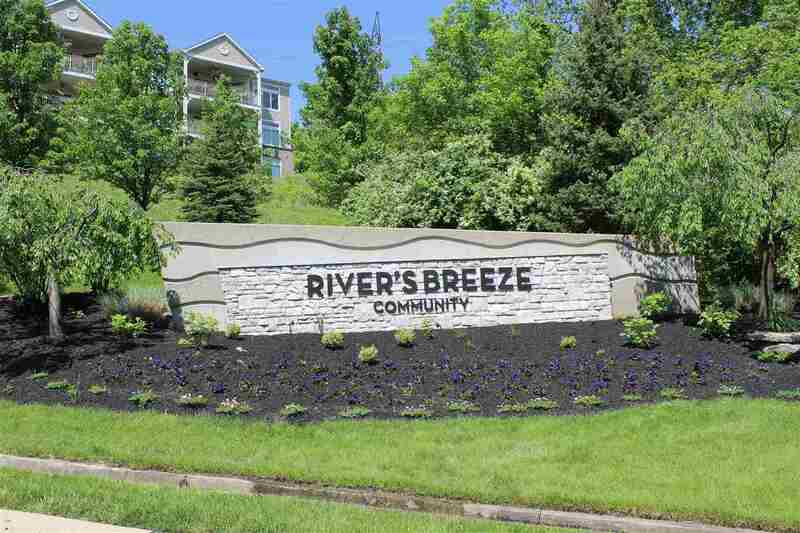 Crisp and Spacious 2 BR with Study in Highly Desired Rivers Breeze. Fantastic Views of Ohio River from Breakfast Area. Great Room, Master Bedroom and Terrace.Walk-out to Terrace from either Luxury Owner's Suite or Kitchen Area.Multi-Height Kitchen Cabinets,Hdwd Floors and Stainless Steel Appl.10' Ceilings throughout.Luxury Bath w/Huge,Dual Headed Shower.Private St w/Add'l Parking for Guests.